Dear Denver, it is day seven of the Starz Denver Film Festival and I am taking the night off to bring you the third and final festival-inspired Local Lists! In this week’s episode, we meet Denver Film Society’s Artistic Director, Brit Withey. Just looking at this guy, you want to take his movie recommendations. I mean, he looks that cool. And like, he’s probably seen every single movie ever made. Or even thought about. And although he’s been burning the candle at both ends this week, he was nice enough to provide us with some “get your booty to the fest if you haven’t already” insights into the remaining festival schedule (my words, not his). The Starz Denver Film Festival ends this Sunday, November 17th. Quit dicking around people. A little about yourself: Iowa expat, reformed dog owner with two cats, really good napper. Best Starz Denver Film Festival moment so far: For me, standing outside the film center for an hour and talking about the screening of Gloria, which has been the most contested screening of the festival yet. Craziest Starz Denver Film Festival moment so far: The subject of the documentary Bending Steel, tearing decks of cards and phone books in half at the Late Night Lounge. Movies that folks have been buzzing about, but have already screened: Borgman, and in ways that I would have never imagined, Gloria. Recommended special event that has yet to happen: Screening of Doomsdays and Reel Social Club party on Friday night (November 15th) at the Parkside Mansion. 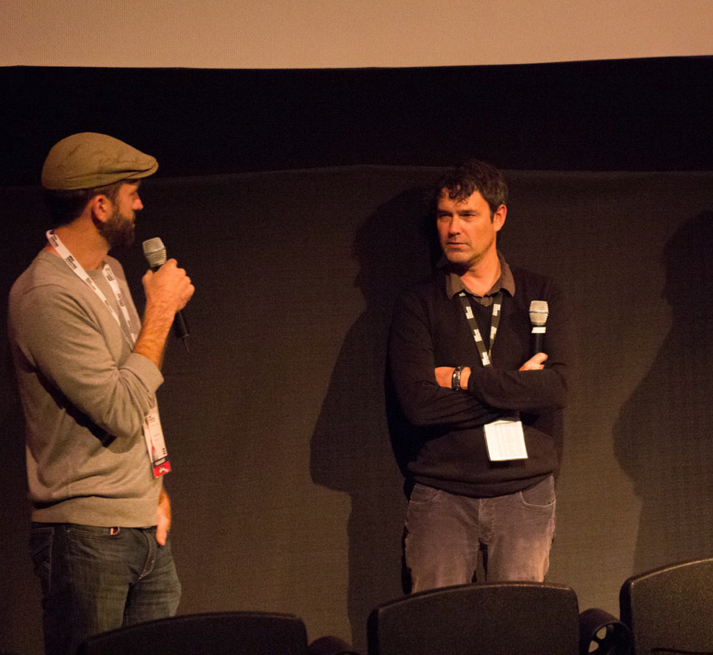 If someone has never attended the film fest before, why should they attend this year? It’s your one week of the year to see this many films from around the world that will most likely never make it back to Denver…many of them with directors in-person. Festival-going tips: Go to something that you think you might not like. Challenge yourself. What are you looking forward to doing after the festival is over: Reading, going to New York. Any additional thoughts/plugs: Thanksgiving’s coming. Make your own gravy.